This luxury hotel and casino on the Las Vegas Strip features celebrity-owned restaurants, The Forum Shops, an upscale spa and 5 swimming pools. All guest rooms have a flat-screen cable TV. Caesars Palace has every amenity you’ll need for your stay in Las Vegas. 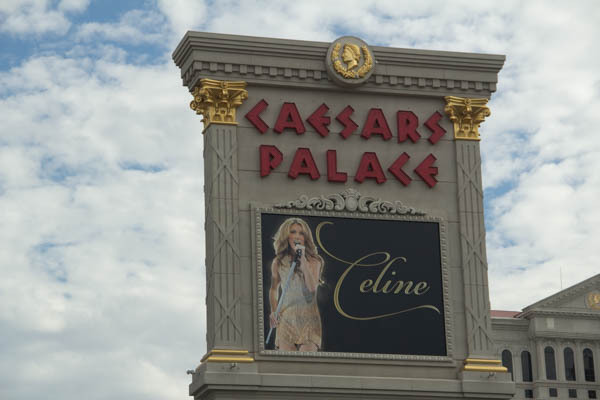 The Colosseum is an in house theater which is home to resident artists such as Celine Dion, Rod Stewart, Elton John and Mariah Carey to name but few. Omnia is the most popular Las Vegas nightclub is on site, and the Spiegeltent (which houses the “Absinthe” show) is adjacent to the main entrance. All guest rooms have a flat-screen cable TV. Caesars Palace rooms include a private bathroom with free toiletries. Room service is available 24 hours a day. Dining options include Gordon Ramsay’s Pub & Grill, Restaurant Guy Savoy, Nobu, Central Michel Richard and Bobby Flay’s Mesa Grill. The famous 500-item Bacchanal Buffet and casual dining choices like Beijing Noodle No. 9 are on site. The Caesars Palace casino features poker, slot machines and table games. The casino also features a race & sports book. Guests can enjoy specialty cocktails at Fizz-Champagne Bar, or visit Cleopatra’s Barge, a floating nightclub. The Qua Baths & Spa offers an extensive menu of massage, facials and body treatments. Unique spa experiences such as a Roman Bath hydrotherapy circuit and an Arctic Ice Room where man-made snow falls on spa guests as they relax on heated benches are also available for guest relaxation.